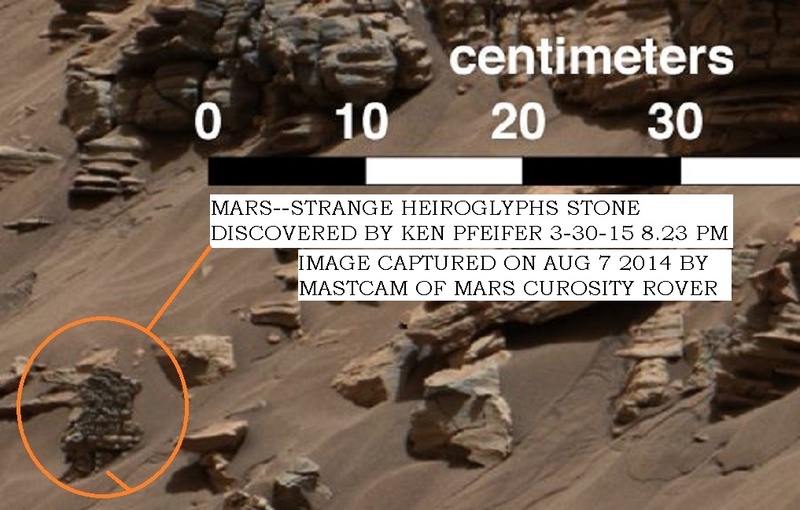 Below is the close up of the very strange stone or block discovered by me on Mars. Very ancient hieroglyphs is what I think it is. Look closely and possible someone can enhance this wall to see the features. The image below was discovered by me on 1-29-14. 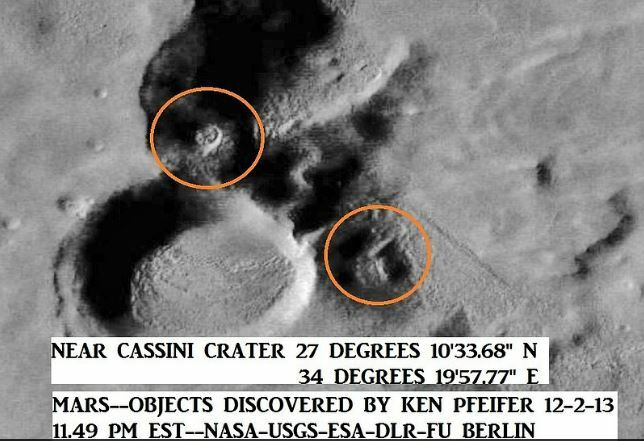 Looks like a hugh triangle craft at the bottom of a crater. 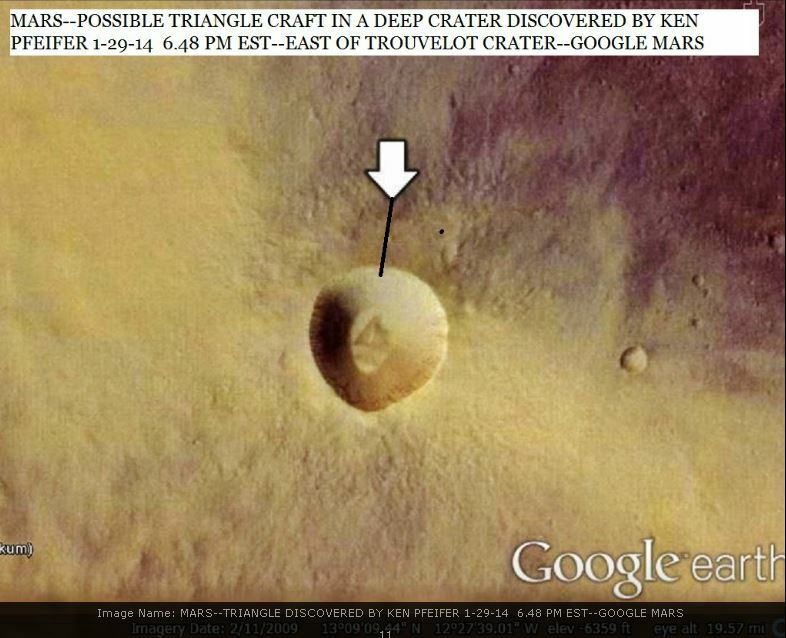 This image is located on Google Mars and it is east of the Trouvelot Crater. 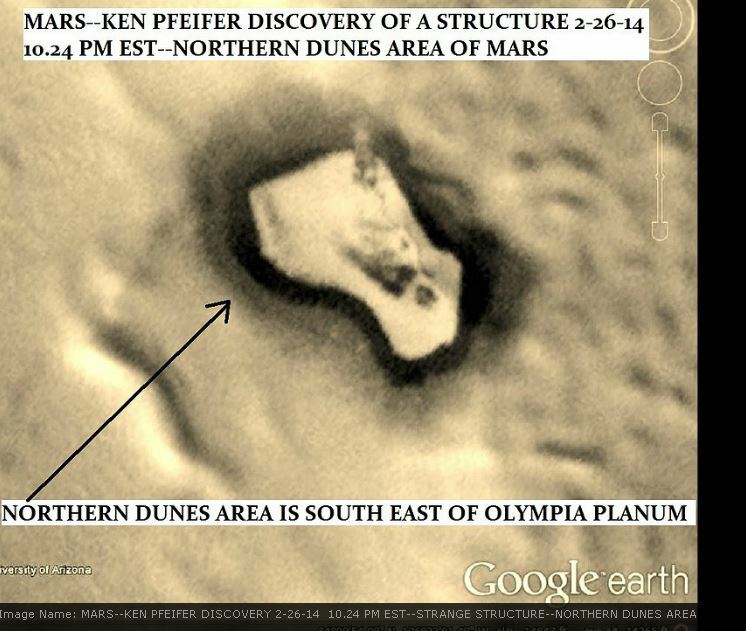 The next image below was discovered by me on 2-6-14. 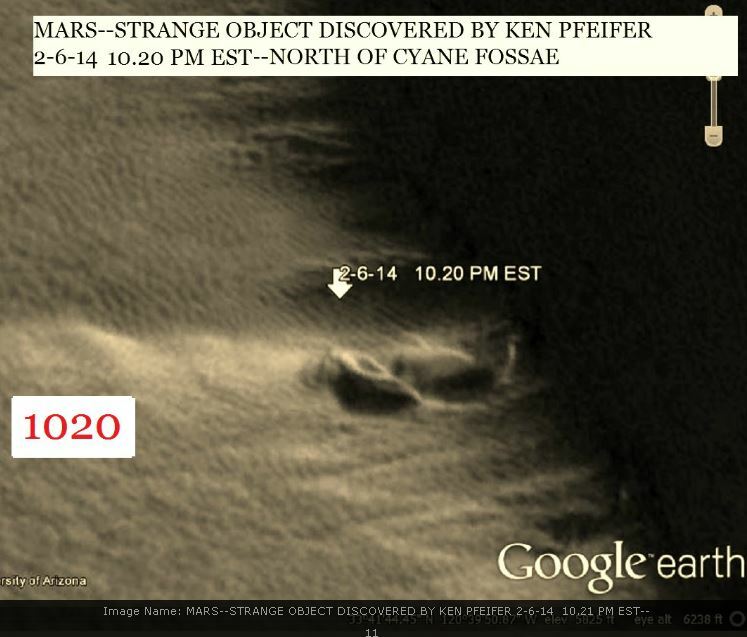 This strange craft or object is located on Google Mars and it is North of Cyane Jossae. The image below was discovered by me on 12-2-13 near the Cassini Crater on Nasa’s web site. The top object looks like an alien craft of some kind. The next object below was discovered by me on 1-26-14. I have found many circular object on the Moon and Mars but this image captures the hi-def features. 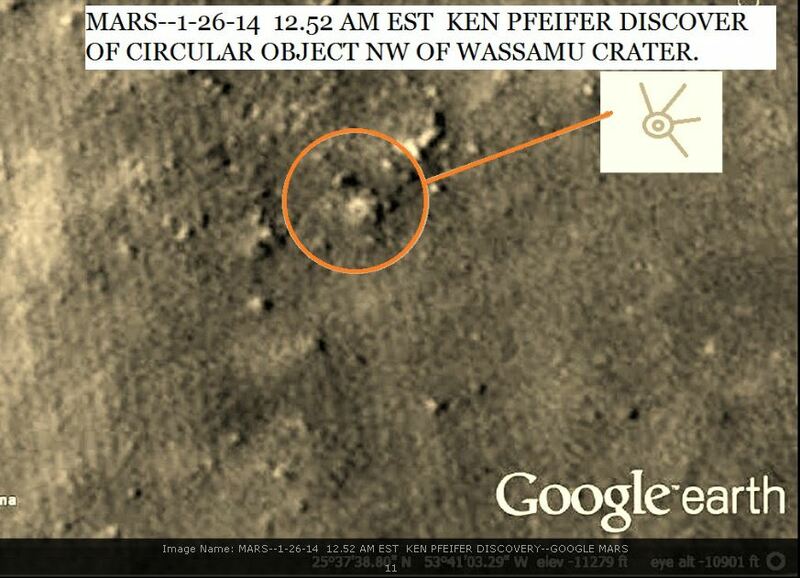 I discovered this object North West of the Wassamu Crater. This below image was discovered by me on 2-26-14. This fortress style structure is south east of Olmpia Platum. Sometimes these objects jump out of the page when you view them. 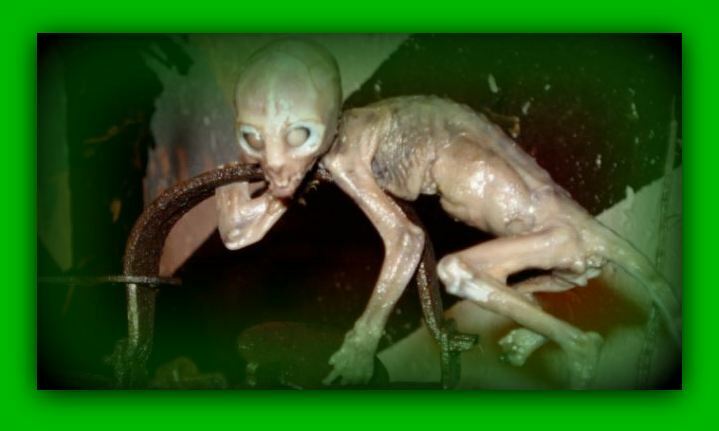 Most are very easy to find and I have only published discoveries that definitely look like something strange. There are many sources on the web that you can use to discover these strange things on the Moon, Saturn, Mercury and Mars. Having the patience to scan a hi-definition image for hours on end is the challenge. I have only touched the tip of the iceberg and plan on featuring many more discoveries in the future. Officer-submariner, Nikolay M. an amateur diver had been diving in shallow water in the bay when he spotted a strange elongated object, shaped like a cucumber. Thinking that it was part of the wreckage of an old vessel, Nikolay tied a rope around the object and tried to pull it to the surface. However he was not successful and decided to attach some slings to the strange “cucumber” and connect it to his automobile bumper to pull the thing out of the bay. He came to the surface and obtained the necessary equipment in order to perform that task. He brought a pneumatic drill with him for the purpose to drill holes on the object and attach the slings. Nikolay descended to the bottom again and attempted to drill the holes on the object. Suddenly a stream of dark liquid resembling oil spewed out of the object hitting him on the face. But instead of switching off the drill Nikolay increased its air pressure in an attempt to make the hole deeper. He heard a loud crunch within the “cucumber” and noticed a blood like substance in the water. The object suddenly then split in half revealing a large cavity inside, from it a large dull bubble floated out. At this moment Nikolay encountered a strange entity, apparently human-like with unnaturally white skin and what appeared to be a wound on his back caused by the drill, the wound appeared to be bleeding. The entity’s face was distorted by pain and anger. The entity looked at Nikolay with an immovable hypnotic glance, soundlessly opening and closing his mouth. The witness attempted to push away the cucumber-shaped object along with the strange entity, but the entity succeeded in grabbing his hand. The humanoid had clawed fingers, very sharp, which tore into his sleeve and cutting him deeply. Struggling, Nikolay used the drill with his free hand and stabbed the entity directly into the chest. After that Nikolay apparently lost consciousness. He was pulled out of the water and saved but he had lost part of his hand. No traces of the strange humanoid or object were found. Apparently the cucumber-shaped object had been some type of alien “cocoon” which the witness had accidentally stumbled upon. Source: “Sekretnye Isslendovaniya” “Secret Researchers” # 12 1999 NOTE: The above image is a rendering. I was out enjoying some exercise when I noticed a series of large, bright, spherical, red-orange lights floating south over the mountain/valley. There were 3 in an obvious triangle formation, and a 4th floating West on this side of the mountains. The triangle slowly grew in size and shifted, increasing the angle until they formed an arch in coordination with the 4th. As this happened, the lights grew brighter until they were illuminated a golden color. During this process of lining up, there were many planes flying in normal formation southwest toward the airport. They looked obviously like planes, with landing lights blinking in red and white. These orbs were MUCH larger, despite being further away at first. As the Arch lengthened and became more equidistant, I observed a 5th light come out from behind the mountain (or from the surface of it?) and join the line. Not long after the 5th showed up, a 6th appeared, blinking into existence or appearing as though it had come very quickly from the south. The 5th slowed down and allowed the 6th to join the formation before proceeding. They all lined up in an arch and proceeded westward at an equidistance. At one point they were flying in front of a plane at the same altitude and an object flew directly in front, obscuring it. It disappeared (?) as the craft crossed its path. 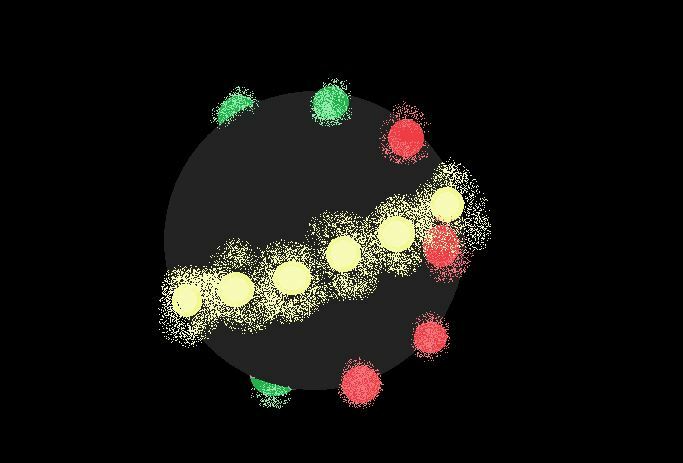 Each object was perfectly spherical, starting red orange, intensifying to golden yellow as the numbers increased. 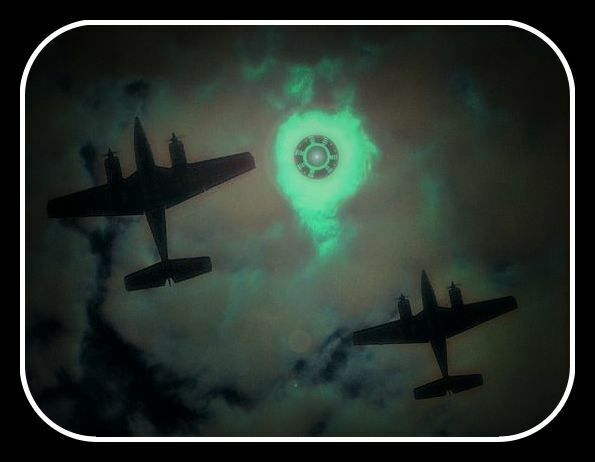 Eventually several in formation seemed to begin emitting bright yellow flickers like a bright spot in an welding arc. They looked like they were heading toward Tooele over Chipper Peak. Line of sight was lost with most of them behind a building before I left to go tell others about the event. NOTE: The above image is a rendering. 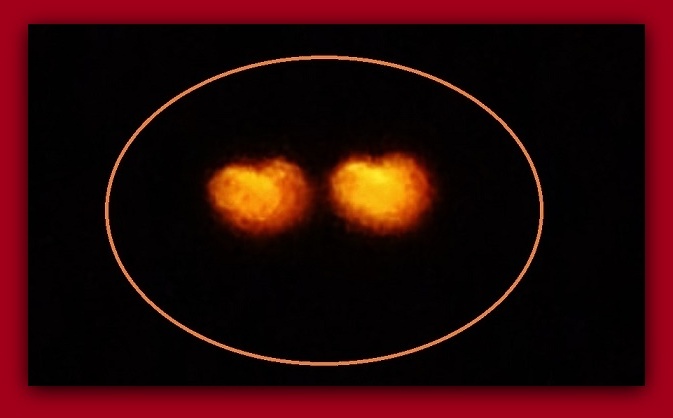 A New York couple at Massena reported watching two orange-red spheres near power lines as they drove eastbound along Route 131 directly behind the Alcoa Plant and parallel to the St. Lawrence Seaway Shipping Canal, according to testimony in Case 64114 from the Mutual UFO Network (MUFON) witness reporting database. The reporting witness said the day was a high pressure day, no clouds, with no aircraft in sight, and temperature about 60 degrees F. about 8:15 p.m. on May 24, 2014. “I observed a solid looking reddish-orange sphere flying above and along power lines that lead directly into Alcoa,” the reporting witness stated. “They originate at the Robert Moses Power Dam that lies east-northeast of Alcoa by about five and-one-half miles.” The witness noticed the object did not have any lights on it as required for aircraft navigation. “Upon making this observation and bringing it to my wife’s attention I saw the second sphere following the first on the same flight path. I was nearing a section of the highway that didn’t allow any further observation.” The couple continued moving east along Route 131 for approximately 200 yards when they observed a sphere. “I assumed it was the first one, cross Route 131 at right angles to the road and at an elevation of approximately 600 feet. The sphere was larger in diameter due, I assume, to our closer proximity to it. I quickly lost sight of the sphere as trees on the north side of the road blocked our view. I had reached the turn to the south for the Dennison Road and took the turn and stopped.” The couple then saw the second sphere leaving the proximity of the power lines at a right angle and it seemed to follow the same northerly flight path of the first sphere. “Again, due to trees we lost sight of the object. I brought the vehicle back on Route 131, traveling east and sped up to allow us a better view to the north. When we reached an overgrown meadow with shorter trees we saw the first sighted object in a stationary position over the Seaway Shipping Canal. As the second object neared the position of the first sphere, the hovering sphere moved off to the north very quickly.” The witness watched as the first object moved away and could no longer be seen. “The second sphere, upon reaching the recently vacated position of the first object, began hovering, stationary without discernible movement. When the first sighted object was no longer discernible, the second object followed the flight path of the first sighted object until it too was no longer visible.” Massena is a town in St. Lawrence County, New York, population 12,883. New York is currently a UFO Alert Level 5 – with 0.41 sightings per million population based on MUFON February 2015 statistics. 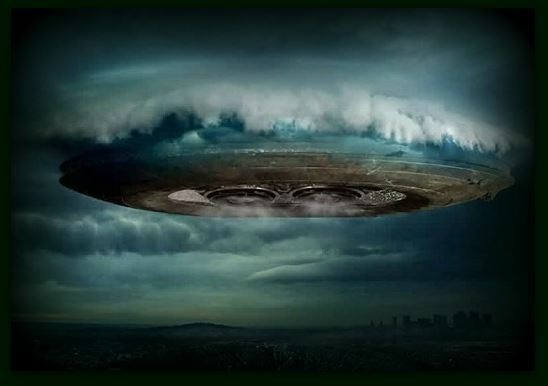 New York received a total of eight UFO reports in February. The UFO Alert Rating System is based on five levels – 1 through 5 – where states with 4.01 or higher reports per million residents are rated an Alert 1; 3.01 – 4.0 reports are an Alert 2; 2.51 – 3.0 are an Alert 3; 2.01 – 2.5 are an Alert 4; and those states with 2.0 or lower are rated an Alert 5. 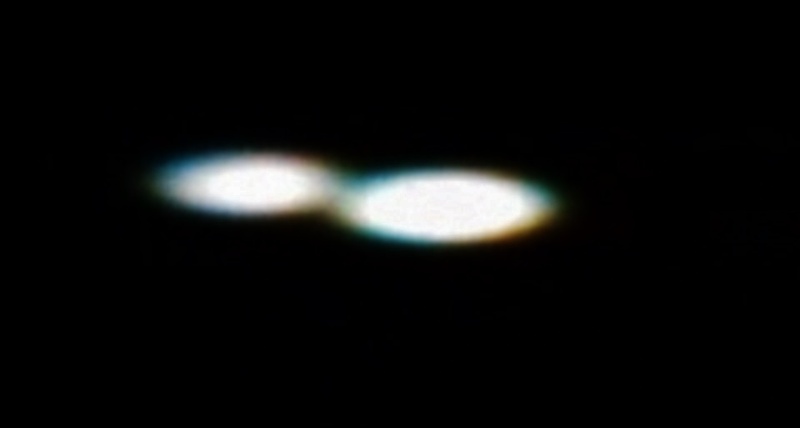 NOTE: The above image is a actual UFO witnessed on 11-2-14 from Leicester England. 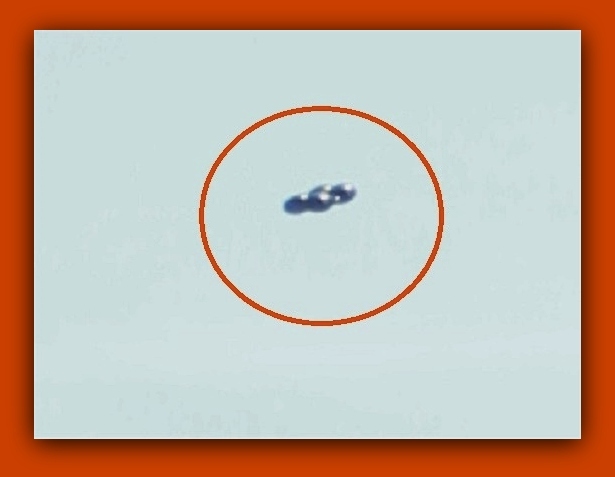 Thanks to Roger Marsh and www.openminds.tv and www.mufon.com case files. I was in 1972 an Airmen in the USAF stationed at Keno AFS, Oregon out of Kingsley Field Oregon. I was a Radar Height Operator during my time there on the mountain. I received orders to go to Udorn, Thailand in 1972. In August of 1972, I packed my family with wife at that time, and young daughter who was born in May of 1971, and a young Labrador Retriever puppy. We were heading to Laredo, Texas for some leave, where both our families resided and my wife would be living with her parents while I was away. I was driving a 1971 Mustang Mach I, and towing a trailer with most of our belongings on it. I remember we left in early afternoon and intended to stop only as necessary so as to make it home as soon as possible. The Labrador puppy had been given a small dosage of tranquilizer pills by the base vet so as to keep him calm and sleep since he was riding in a dog carrier at tailgate of the trailer. He was very comfortable and I foresaw no problems as long as we kept to our schedule. The baby was fed and asleep in the back seat where we had set up a make-shift crib. At about 2:00 AM we were heading west on a long dark stretch of road but could see it was one of those roads that went on forever and then over a distant hill, more highway if you know what I mean. My wife was asleep when I first saw what looked to be some sort of a road block set-up ahead about a mile ahead. I could see the reflection of the cross stripes on a low wooden type structure, is why I though of it as a road block. But I started to wonder why a road block at this time? I was traveling at about 70 miles per hr. So I knew I would soon come up to it. I woke up my wife to see if she saw the same thing. I started to slow down anyway because I am a law abiding person, used to taking orders. As I got closer I saw no one at the road block just the low road block structure strung across the right side of the highway. I was about one city block length away from the road block and still no one manning it. Suddenly our puppy in back started to howl, but not like a puppy howl or yelp, but like some sort of monster from Hell and very loud howling and just continued to do so till after we passed this area. All my hair stood up on the back of my neck. My wife and I looked at each other and I hit the gas pedal, feeling very much in danger. Something told me to go and not stop, which I obeyed, I swept around the roadblock on its left side. My wife and I both looked to our right. There was a strange set up and it looked like three daises raised around a cleared center area, like a basketball court with bleachers but one side missing. Very bright lights illuminated it, one disc was facing south and about 100 ft. across more or less and the other two facing each other east and west about same length and all three connected with the south side open. In this areas were many men or not, very white in coloring and they were all wearing what I saw was bright blue overalls and scampering around. There were many pieces of equipment around the inset of the dyes but the center part was clear almost like a short runway or large landing pad. My wife said she saw the same thing except that she saw them wearing white overalls and that they all looked bluish in coloring to her. I looked in the side mirrors and no one was following us. No lights, no police, nothing. I was going about 75 miles per hr. and didn’t slow down for at least 30 minutes to an hr. I did slow down though and saw that my wife was still nervous ,but that our daughter was still fast asleep, the puppy was quiet. I started to look for a place to stop and rest, with people around. I saw a light to our right in the near distance just off the highway so I slowed down and carefully pulled into what looked like an old style storefront parking area with a light swinging in the warm desert breeze from the store and I remember it even made that rusty sound as it swung back and forth. I told my wife we would stay here and in the morning we could get something to eat or drink there. We agreed, I remember getting out of the car and I could see the outline of the store front as I went in back and relieved myself before getting back into the car. Next thing I remember there was a sharp knocking on my car window. It was a man checking to see if we were alright. I woke up fully and remembered that I felt as though I had slept for a hundred years, the best I had ever felt or since and fully energized and alive. The man was not excited and said he wanted to know how the accident happened? I said what accident? He said yours. He said you are 200ft from the highway, sitting in the middle of the desert. I just happened to see you as I was driving by. He asked if we were alright? I looked around my wife was just waking up and my daughter was still fast asleep. I said yes I feel great. I looked around, there was no store front no store sign swinging in the breeze and no store. We were in a clearing off the highway. It was a bright sunny day. My reaction at that time was nonchalant, and very strange when I look back at it. I checked on the puppy, he was fine. The car and trailer looked fine. I looked like I pulled off the highway in a straight line to the position I was found in. I did notice that the truck driver was driving what is typically called an 18 wheeler and that he was parked far to the left on the highway of where we ended up. I thought at that time, boy, he must have great eyesight. He said go ahead and pull off the road to be sure the car is ok. As I did this I noticed a bump in the trailer axle. Upon further inspection I could see it was bent. I can’t think of anyway it could happen unless I pulled off and hit something the night prior, but I remember being careful. I thanked the truck driver without exchanging any information nor did he offer any. Anyway I was only able to go about 45 miles per hr. till we hit the next town. I am not sure but I think it was Mercury, Nevada? At this small town I stopped at a service station that told me the trailer was ruined and too dangerous to continue with it. Being an Airman at the time I had little money to rent another one. Instead I sold some our belongings and gave the rest away, along with the puppy to the service station owner. We took it all in stride and just kept going. It only started to bother me years later by 1981. I had divorced my then wife and life went on. But I still speak to her on occasion and this incident does come up and she still remembers the same thing. I did not report this sooner because of my position with the USAF. I later worked in Air Force Intelligence and as a crew member of an E-3A training squadron. I then worked for a US Government agency where I also feared some sort of repercussions. I an now retired. This happened a long time ago. Even if it falls along the parameters of the Secrets Act it has been about 40 years and by now should be declassified. NOTE: The above image is a rendering. Keno Air Force Station (ADC ID: TM-180, NORAD ID: Z-180) is a closed United States Air Force General Surveillance Radar station. It is located 4.6 miles (7.4 km) south-southwest of Keno, Oregon. It was closed in 1979 by the Air Force, and turned over to the Federal Aviation Administration (FAA). Today the site is part of the Joint Surveillance System (JSS), designated by NORAD as Western Air Defense Sector (WADS) Ground Equipment Facility J-82. The weather was clear and a seasonable 43 degrees on 12-13 April, the night in 1879 when UFO ‘Mothership’ as they have come to be called, was seen over New York City. The glowing circular shaped object was observed by Jersey City, NJ Astronomer Mr. Henry Harrison. The object gave the appearance of hovering at a very high altitude but Harrison realized that an object would have to be moving at great speed in order to remain overhead as the Earth turned. Needless to say this mystified Harrison as he made his remarkable observations because, like it or not, the object was generally *stationary even as the stars rose and set behind it. He watched the object for the better part of three hours when suddenly it sharply changed its direction and began flying eastward. Harrison made additional observations later that night and quickly ruled out the Brorsen’s comet because the object simply wasn’t there any longer; a comet would have been. Henry was a member in good standing with the Toronto Astronomical Society and realized that he needed to report his findings with an established scientific authority. The next day he sent a telegram to the US Naval Observatory in Washington, DC. His telegram was discarded by the director, world famous astronomer Asaph Hall III. Upset with getting no response from an esteemed astronomical authority, Harrison wrote a letter to the editor of the New York Tribune. The newspaper published the letter on “A Curious Phenomenon” 17 April 1879. The contents of Harrison’s newspaper letter concerning his observations were also later published in the May 10th, 1879 edition of Scientific American (Vol 40 Issue 19). He was swamped with letters from other astronomers and most certainly he caught his share of denigration from his critics about his supposed “sloppy scientific reporting” of the observation. The critics asserted that he probably just saw Brorsen’s comet. But the rather militant Harrison knew that Brorsen’s comet would only move about a degree a day in the sky. Whereas, his object was moving at a rate of two minutes of Right Ascension per minute, a huge amount, a comet just wouldn’t be doing that. Henry Harrison would ultimately get some peer validation from two New York regional astronomers; Mr. J. Spencer Devoe in Manhattanville and Mr. Henry M. Parkhurst. Devoe published a letter confirming his observation of the object the same night Harrison did and published his measurements at the urging of Parkhurst. Harrison described his object as circular and bell shaped and clearly moving under intelligent control. Later, Morris K. Jessup, using a combination of measurements from the three regional astronomers, calculated that the object was over New York City for three hours. He further determined that the object was at an altitude of 80 to 100 miles above the Earth and estimated the bell shaped object to be about a half mile in diameter. NOTE: The above image is a rendering. In the summer of 1950, Paul was in the U.S. Army and working at Camp Wallace on the James River in Virginia. One day, for reasons he no longer can recall, he went to Camp Peary near Williamsburg, Virginia. While there, he recognized an MP guarding a bunker; they had served in Guam together. 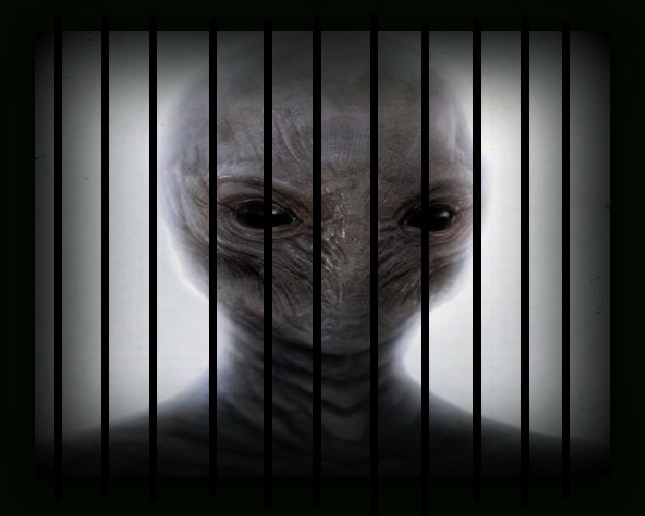 Behind the door, just 15 to 20 feet from him, was an alien standing in a small cage with a base that was only three to four feet square. The alien was about 4 ½ feet tall and only wearing briefs. 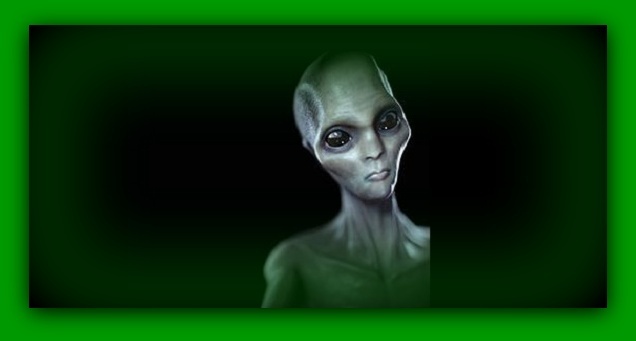 What caught Paul’s eye the most was the alien’s skin color which he described as “an old orange-gray, dead-looking color.” Despite the color, Paul assured us it was alive and seemed to be aware of his presence. Though smaller and skinnier, Paul found the alien’s features remarkably human-like. The shape of the head, ears, eyes, nose, chest, arms and legs were all similar to those of a human being. He did say the alien was almost bald with just a little bit of hair. He also noticed the alien’s fingers were longer than those of a human being. WORLD War One, London: a German airship is pounding the capital with bombs. Several aircraft are scrambled to attack the enemy raider. 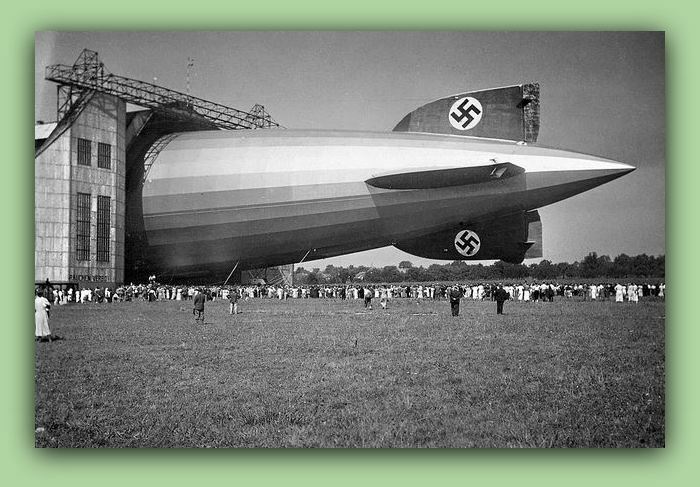 But as well as the giant Zeppelin a mysterious object is seen in the sky by the British pilots. “One of them described it as looking like a railway carriage with the blinds down,” says Nigel Watson, who has investigated the century-old sighting. “One pilot took some shots with his revolver but the object flew away out of range.” The strange incident is one of the more extraordinary encounters featured in the Plympton author’s latest book, UFOs Of The First World War. There are many more: Nigel’s book will cause a rethink for anybody who reckons UFOs – unidentified flying objects – only arrived after World War Two departed in 1945. 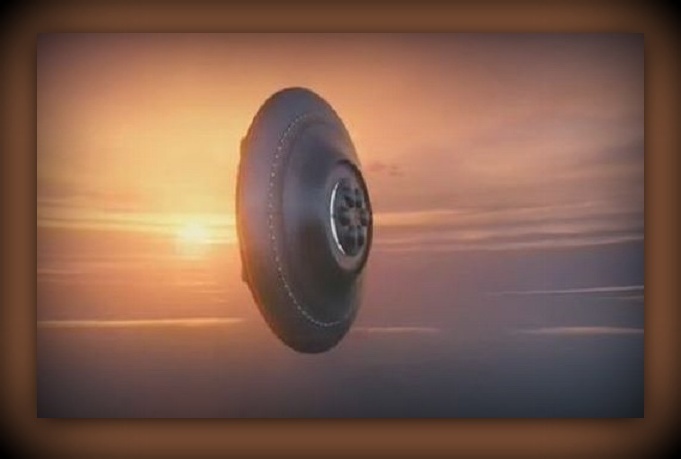 True, the term ‘flying saucer’ was coined in 1947 (after a description of an unexplained object that flew ‘like a saucer would if you skipped it across the water’). 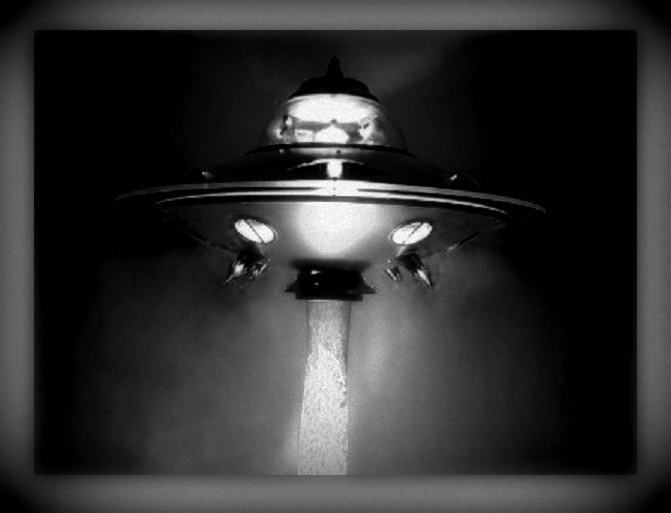 But UFOs have been seen for centuries and descriptions of them have evolved over time. “It’s called ‘cultural tracking’,” says Nigel. “People tend to see things in the sky that are a bit more advanced than the current technology but still within the bounds of credibility and the possibilities of that time. “What we see is conditioned by the media and culture.” Hence during the 1914-18 war people saw, and explained what they saw as, objects that fitted the era of airships and biplanes. Nigel, 60, is an expert in the history of UFOs and the latest book is his fourth on the subject. His research came from War Office files held by the Public Records Office – police passed sightings to the government department charged with conducting the British effort during the conflict – and from newspapers (which were heavily censored from 1915 on). “Military intelligence officers investigated the sightings,” says Nigel. “Often they were found, after a few phone calls, to be misidentifications. Some were not explained. “There were a lot of UFO sightings in the Lake District. Troops were sent to search for an enemy aircraft base in Scotland. “Nothing was found but a reward of £100 (the equivalent of a year’s wage for some) was offered to anybody who did.” The Ashburton area was another hotspot for sightings. Lieutenant Colonel W P Drury, a military intelligence officer based in Plymouth, was sent to investigate a series reports of strange, floating lights in the sky in June and July, 1915. The officer witnessed the light once himself and noted that other sightings were on a line on the map that passed though Buckfast Abbey. “Some German prisoners were being held there,” says Nigel. “He thought that the light might be up to them, to signal (to the enemy) but there were not a lot of targets on Dartmoor.” Nothing he found has convinced Nigel of the presence of an alien life in connection with the sightings. He remains an ‘optimistic sceptic’, he says. NOTE: The above image is a rendering. On Friday the 13th I was returning about 7:30 pm. Driving east on Cape Coral Pkwy near 4 Freedoms Park. Six lanes of traffic; quite busy I had to pay attention to driving. I saw ahead to my left in the sky what I assumed was a commercial plane flying toward the Fort Myers International airport but when I seemed to pass it, glancing , I noticed it had a line up of red, green and yellow lights along the full side. It was NOT moving as I had to quickly glance back to see it. When I was finally able to move to a side street, stopping and looking back, it had vanished. It was growing dark and the sky was partially cloudy, the vehicle being below the cloud line. I heard no noise, and when thinking back realized it seemed small for a large jet to be that close. I repeat, it did not move either as a jet would have been far forward of the traffic and I would not have had to look back to see it. 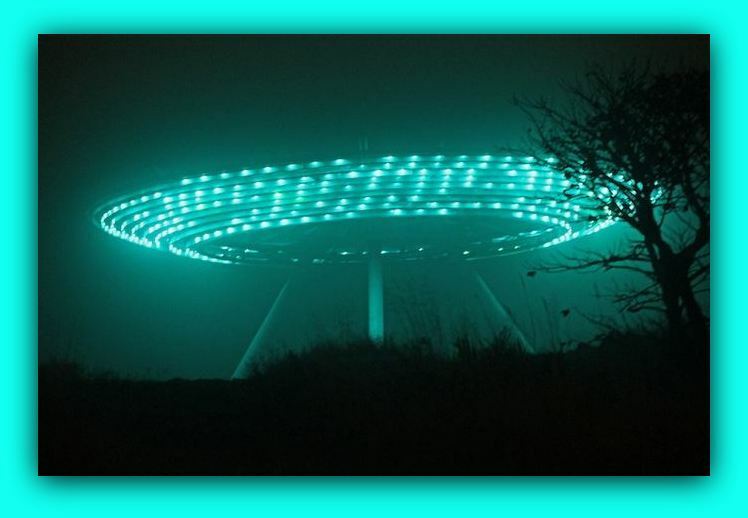 I knew it must be a UFO by the colored lights that ran the full length. I am not good at describing distances and as I was driving did not think of it. I am a MUFON member and am trying to be more careful of such observations. NOTE: The above image is a rendering. Near Imjarvi, Finland – January 7, 1970 – 16:45Aarno Heinonen and Esko Viljo saw a bright light in the sky approaching them with a buzzing sound. 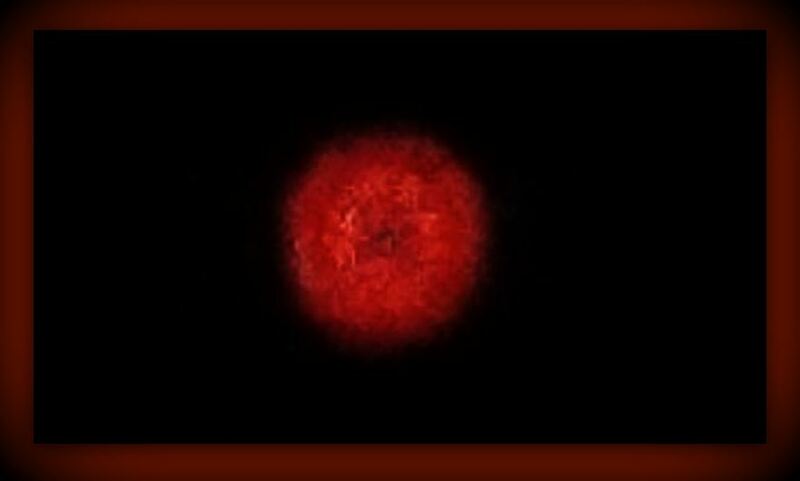 A round 10-foot wide metallic object with a flat bottom, wrapped at first in a reddish gray mist, descended to within 10-12 ft of the ground, and the buzzing ceased. It was so close to Heinonen that he could have touched it with his ski pole. From an opening in the center of the object’s bottom, a bright light beam was the emitted, creating an illuminated area of 3 ft in diameter on the snow beneath it, edged with black. A red gray mist descended again; when it cleared both men could see, only 10 feet away, a 3-foot tall humanoid creature standing in the illuminated area, carrying in its hands a black box with a pulsating yellow light. The arms and legs were very thin, the face pale like wax, and the nose hooked; it wore a light green coverall with darker green knee boots, white gauntlets, and a conical metallic helmet. Then the mist again descended, and long red, green and purple “sparks” floated out from the lighted area. A sort of flame rose from this spot and entered the UFO; then the mist vanished, as did the UFO. After this experience, Heinonen found his right leg numb, vomited, and passed black urine; Viljo also suffered severe physiological effects. The former would claim, two years later, a series of contacts with a female spacewoman. ‘I was standing completely still. Suddenly I felt as if somebody had seized my waist from behind and pulled me backwards. I think I took a step backwards, and in the same second I caught sight of the creature. It was standing in the middle of the light beam with a black box in its hands. Out of a round opening in the box there came a yellow light, which was pulsating…’ The time was 4.45 pm on Wednesday 7 January 1970, the place was lmjarvi, 15 km NW of Heinola in southern Finland. Woodman Aarno Heinonen, 36, and farmer Esko Viljo, 38, both active competition skiers, were out skiing. They came down from a little hill to a glade where they usually take a pause. It was sunset, and a few stars were visible in the unclouded sky. It was very cold (-17 Celsius) and windless. They had been standing in the glade for about 5 minutes when they heard a buzzing sound, and caught sight of a very strong light moving through the sky. It approached from the north, made a wide sweep, and came at them from the south, descending as it came. The faint buzzing sound became louder. The light halted, and then they could see that a luminous red-grey mist was swirling round it. Puffs of smoke were thrown up from the top of the cloud. The two men stood quite still staring into the air, saying nothing. The cloud was soon down as low as 15 m, and they could see what was inside it: a round object, flat at the bottom, metallic in appearance and about 3 m in diameter. Heinonen’s account, as reported by GICOFF (the Goteberg UFO information centre) runs: ‘The round craft hovered awhile completely motionless above us while the buzzing sound could still be heard, quite low. Then the huge disc began to descend along with the red-grey fog which became more thin and transparent It stopped at a height of 3-4 m, so near I could have touched it if 1 had reached with my ski-stick. ‘The craft was completely round. When it came down obliquely towards us we saw it had a dome on the upper side. Along the lower edge was a kind of raised part on which were three spheres or domes spaced equidistantly, From the centre of the bottom projected a tube, approximately 25 cm in diameter, from which suddenly there came an intense beam of light. ‘I don’t think we said anything to each other at all. We were completely amazed. We saw the light move a couple of times before stopping and intensely illuminating a patch of snow about a metre in diameter, with round it a dark edge, almost coal-black and 1 cm wide. ‘I was standing completely still. Suddenly I felt as if somebody had seized my waist from behind and pulled me backwards. I think I took a step backwards, and in the same second I caught sight of the creature. It was standing in the middle of the light beam with a black box in its hands. Out of a round opening in the box there came a yellow light, pulsating. The creature was about 90 cm tall, with very thin arms and legs. Its face was pale like wax. I didn’t notice the eyes, but the nose was very strange, it was a hook rather than a nose. The ears were very small and narrowed towards the head. The creature wore some kind of overall in a light green material. On its feet were boots of a darker green colour, which stretched above the knees. There were also white gauntlets going up to the elbows, and the fingers were bent like claws around the black box.’ Viljo: ‘The creature stood in the middle of the bright light and was luminous like phosphorus, but its face was very pale. Its shoulders were very thin and slanting, with thin arms like a child’s. I did not think of the clothes, only noticing that they were greenish in colour. On its head was a conical helmet shining like metal. The creature was less than 1 m tall.’ Suddenly it turned and directed the opening of the box towards Heinonen: The pulsating light was very bright, almost blinding. It was very silent in the forest. Suddenly a red-grey mist came flowing down from the object and large sparks started to fly from the illuminated circle of snow. The sparks were like tapers, about 10 cm long, red, green and violet. They floated out in long curves, rather slowly; many of them hit me, but though I expected them to burn me, I did not feel anything.’ Viljo: ‘The sparks were shining in several colours. It was very beautiful. At the same time the red mist became thicker and hid the creature. Suddenly it was so dense that I could not see Aarno even though I knew he was standing only a few metres away from me.” Heinonen: ‘I could only just see Esko. The mist was very thick and I could no longer see the creature.’ Viljo: ‘I saw the being for perhaps 15-20 seconds, no longer. Suddenly the beam melted, flew up like a flickering flame, and was sucked into the gap in the craft. After that it was as if the fog curtain was torn to pieces. The air above us was empty! I don’t think you can say we were afraid. We were laughing and talking about this light. But at the same time we felt a little uneasy.” They stayed there for perhaps three minutes, Gradually Heinonen became aware of a numbness in his right side. When he stepped forward on his skis, his right leg wouldn’t support him and he fell in the snow. ‘My right leg had been nearest the light. The whole leg was stiff and aching. My foot was as if anaesthetised.’ Viljo: It was growing dark. I asked Aarno if we should be on our way. I thought he was joking when he sat down in the snow. But then I saw he couldn’t get up though he tried over and over again.’ NOTE: The above image is a rendering. Hello – I submitted a report to MUFON several years ago but never heard back from the group. This incident continues to haunt me. I don’t have an actual copy of the report but I’ll give you as many details as possible from the notes. I know what I saw is true. In 1972 I was living in a four family flat in Highland Park, MI on Glendale. I was about 8 years old. A new family had just moved in from Texas and I became friends with their girl who was my age. I slept over at her place one night. In the early a.m. I woke to use the bathroom and got out of bed. The bathroom was located on the right side of the room I was sleeping in, at the end of the hall. The hall was shaped like an ‘L’. Not long after I got up I heard a noise that sounded like a door moving. I walked to the long side of the hall to see who was awake. The light shining from the bathroom allowed me to see what I thought was a small child holding onto a knob and peering out from behind the door. I could see his silhouette and I thought he must be hungry because he looked so skinny. I took a step closer blinking my eyes as to clear up my sleepy vision. As my vision became more clear I turned my head to the left and it mimicked me. That’s when I saw the eye – it was large and black – so I turned my head to the right and it mimmicked me again. It had tiny slits for a nose and a dimple for a mouth as it appeared from behind the door. Then I noticed the 3 long fingers holding the door knob. It had no clothes and I could only see the one shoulder. The skin appeared to be grey a dark grey. I took a deep breath and urinated on the wax floor and then fainted. I woke the next morning and remembered that I had urinated on the floor but there was no evidence. I didn’t know why I would do that my underwear were bright white, almost glowing. I was back in the bed and there was no urine in the bed. I felt no reason to tell my mom or my friend that I urinated in the hall – there was no proof the wax floor was not damaged and my underwear were better than new. Well fast forward to 1986 – 14 years later. Time Life Magazine advertised a giveaway book ‘Aliens – are they really out there’ and flashed a picture of the alien. Suddenly, I flashed back – I was 8 years old again standing in the hall reliving everything over again. They are here they have been here for years. For two weeks after that flash back I could not walk. A relative told me I believe there is a chip in my leg and that they may have nicked a nerve inserting it. There was also a deep indentation on my leg for quite a long time. I gained so much weight as well. This happened to me and I decided when I wrote MUFON that I will continue to go on acting as if it was a dream. There is a bit more to the story and it concerns the family from Texas I was visiting that night. After several years I saw them again and I told them my story. They confirmed it to be true because one of their family later committed suicide as a result of watching the alien move about the residence. This was my friend’s younger brother who had not been born before we moved away. The family did not believe his encounters so he eventually killed himself. I wish I could have been there because I saw the alien and I would have believed him. NOTE: The above image is a rendering. Alien activity in the western central English county of West Midlands is apparently keeping police officers there pretty busy. According to the West Midlands Police Department’s website, “As part of its pledge to be as open and transparent as possible, West Midlands Police publishes all FOI requests onto its website as a matter of course.” It continues, “And while the act enables important statistics and information to be published, it has also highlighted some of the force’s more unusual call outs.” One FOI request asks, “Please, under the freedom of information act can you tell me how many alien abductions have been reported in the West Midlands over past three years, breaking it down for each area? Can you also give details on each case and how the report was resolved?” The department says it has received twenty-three alien-related reports during the past four years. How these numbers compare to police departments in other parts of the world is unknown. But it seems like a lot, considering that these aren’t simple calls about strange lights in the sky. Two calls were from people who were either being attacked by aliens, or were reporting an alien home invasion. 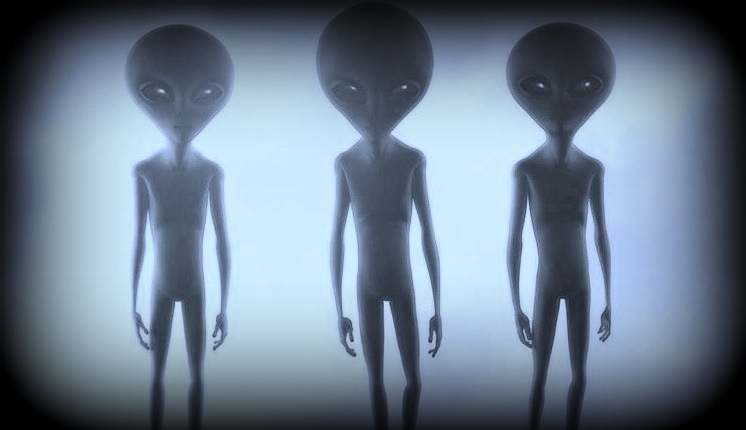 Three of the calls were from people seeking police assistance because extraterrestrials were allegedly in the process of abducting them, or coming to abduct them. Four calls were from people who reported that they were either talking to aliens or hearing aliens talking to them. 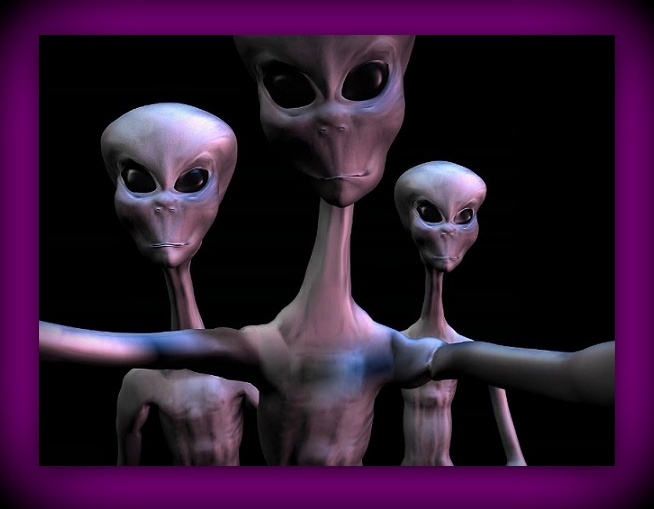 The remaining fourteen calls were from people reporting that they had seen extraterrestrials in West Midlands. The police department points out, “Every effort is made to ensure that the figures presented are accurate and complete. However, it is important to note that these data have been extracted from a number of data sources used by forces for police purposes. The detail collected to respond specifically to your request is subject to the inaccuracies inherent in any large scale recording system. 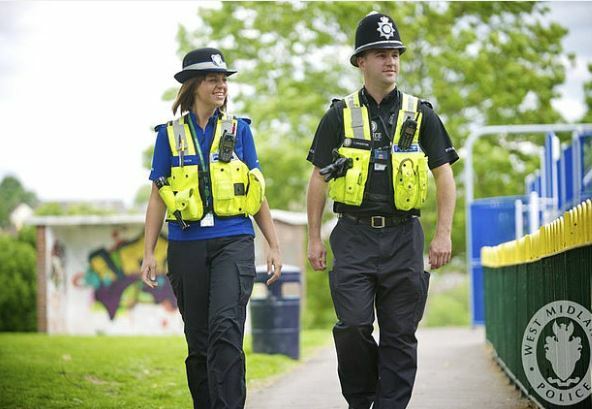 As a consequence, care should be taken to ensure data collection processes and their inevitable limitations are taken into account when interpreting those data.” The twenty-three reports provided by the West Midlands police resulted from its own system search using the terms “alien” and “alien abduction.” So it’s conceivable that the department has received more than twenty-three extraterrestrial-related reports, which might contain other terms like “extraterrestrial” and/or “E.T.” – West Midlands police respond to reports of hostile . NOTE: The above image is a rendering. 13-year old deaf mute, William Ortiz was riding his horse on a gravel road in his parent’s property when peering through the growth of vegetation on one side of the road, he noticed a child-like figure, but continued on his way. Then in an opening through the brush and in top of a large rock, he saw a disc shaped object with little figures around it. After staring at it he stopped in confusion, looked over his shoulder, and noticed one of the child-like figures next to him. He noticed that the entity wore some type of uniform, very tight fitting and covering the neck and legs. He also wore boots. The collar ended like a turtleneck, and he could see something like a seam in the form of a V on the shoulders. The hands only had four fingers, he was not really so sure. The being had a large hairless head. The eyes were big, oval shaped and very black, some of the other crewmember’s eyes were smaller than the others. There were no ears, just a little hole on each side of the head; the nose was small as well as the lips, which never moved. The skin color was grayish brown. The entity closest to him appeared to be a male. The others looked the same. The entity closest to him, looked directly into Ortiz’s eyes and started sending him messages and at the same time using hand signals or language. Eight enigmatic words were given by the entity, which included “sky” “love” & “secret.” After the message, the entity made a turn toward the rock. At this moment Ortiz could not see the rest of the crew. The entity went back to the object half walking, half floating, very fast. Then the object went straight up, made a turn to the southwest, and disappeared into the horizon. The rock on which the object rested has many peculiar symbols carved on it that included lines, circles, disk shapes, serpents and other symbols. Source: Virgilio Sanchez Ocejo, Cufos Associate Newsletter Vol. 3 # NOTE: The above image is a rendering. While in the army, on July 28, 1998, at 01:00 a.m. within 5 kilometers of the town of Tindouf in the Algerian Sahara, with a comrade, he suddenly saw a light coming towards him. The two men were quite afraid because they had gone downtown without asking permissions from their chief and probably initially thought that they were being sought for. They thus hid behind a sand hillock, while the light approached right in front of them within 4.5 meters, the display appearing to them like some science fiction movie, imposing and beautiful. For the witness, there was no doubt that it was a UFO, if only by its size of almost 9 meters. I was hovering 1.50 meters above ground-level, with a light with front and another at the back, different from other lights, which seemed to go down and project on the place in a “square” beam or a square section. It had also a light on the top and another below, both described as beautiful. The craft also had “windows” with dark lights (obscured or darker? ), and they did not hear any engine noise, only a sound compared to that of a simple ventilator. 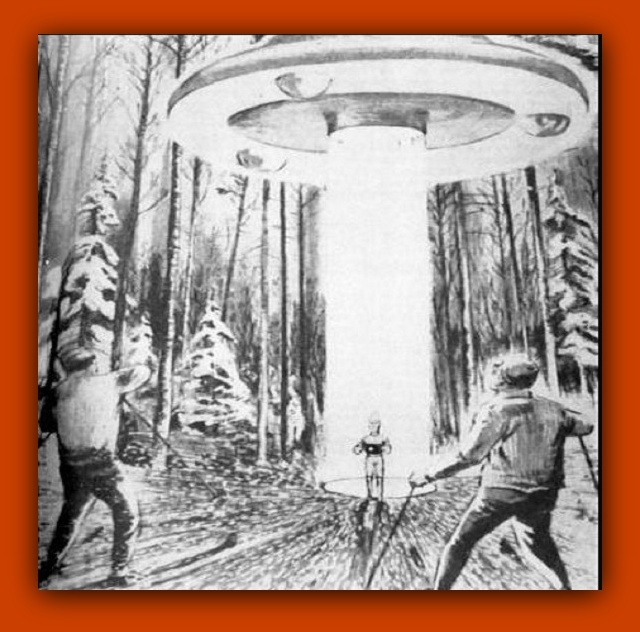 The two men then fled, the witness looking back when he was at a distance of 30 meters from the UFO. He then saw that the UFO was stopped in front of a fill, and that a meager “thing” came out of it, that he could not see well, but it had a small bump on the head. He then fled again running as fast as he could. NOTE: The above image is a rendering. The two orb-like unidentified objects were captured floating in the sky above Barwell, Leicestershire. A 41-year-old woman spotted the two balls of bright white light after strange noises woke her at 4.50 am on February 3, reports the Hinckley Times. She thought it was coming from downstairs so she got out of bed and went to see what it was. After finding nothing the woman went to make her way back to bed when she suddenly spotted the two lights out of her window. 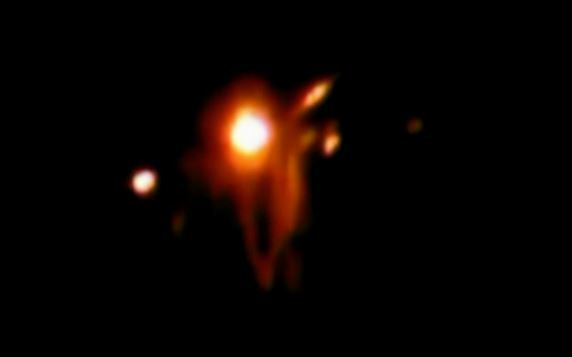 Are these orbs of light UFOs? Joanne Kavanagh, who is investigating the incident on behalf of Lufoin – the Leicestershire UFO Investigation Network – said: “It was a clear night and there were no clouds in the sky. “The lights kept merging into one and moving side to side. Captain Jim Courant has been a commercial pilot for over 31 years. “It is almost astounding how many people are in the know on this subject,” he said, speaking before the Citizens Hearing on Disclosure at the National Press Club in Washington, D.C. on May 3. 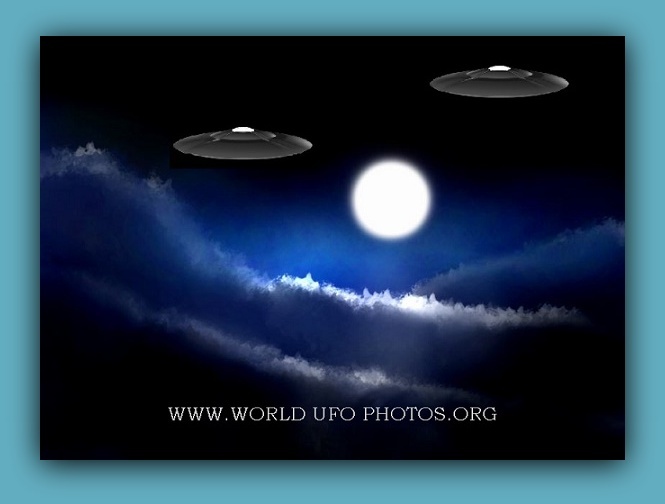 Courant has been researching and studying the phenomena of UFOs for years. He has collected over 3,000 books on UFOs and extraterrestrials, and hosted a television series on the issue titled “New Perspectives” which ran for three years. He still flies for a commercial airline and because of his exposure on television has became known as an authority on UFO’s and extraterrestrial encounters.He has been contacted, and still is, by many commercial airline and military pilots who are happy to discuss their UFO’s encounters privately but do not want to talk publicly, fearing ridicule and in some cases retaliation. “They are afraid,” not so much about their status or their retirement benefits, but “they are more afraid for their families,” he said. He described the experience of one pilot who was flying a 747 over the Pacific in 1980, when he came across a UFO in front of him. “You won’t believe what we saw,” the pilot had said, according to Courant. “This thing was bigger that a 747.” Courant said the pilot told him that when he got to his destination in Japan, he “was debriefed and told never to talk about it again.” Courant told the hearing about his own encounter with a UFO. In 1995, he was flying near Albuquerque, New Mexico, when he and his co-pilot saw a blue green oval shape approaching from the left. “In a flash of burning white light, the object suddenly shot up at a 45 degree angle,” he told the hearing. Four other pilots reported to the air traffic control tower that they had also seen the object. “One pilot said it must have been a meteor,” Courant recounted, adding, “I got on and said ‘Since when does a meteor go back up?’” When asked about his co-pilot’s reaction in a telephone conversation following the Disclosure hearing, Courant said, “He refused to discuss it and has never flown with me again.” Courant said pilots have reported seeing a variety of craft that appear suddenly and move at speeds impossible with present technology. Reports include cigar shaped craft, triangular craft, and some that are the size of an aircraft carrier or larger. He says airline pilots are “very serious in their profession” and not likely to make exaggerations. The website NAPCAR, co-founded in 1999 by Dr. Richard F. Haines, a recognized specialist in UFOs and a former Chief Scientist at NASA’s Ames Research Center, has been effective at documenting sightings, but Courant says more needs to be done. UFO sightings are only “the tip of the iceberg” in terms of what has been experienced and what is known about extraterrestrials, he said. “There are certain things I have been privy to, but I can’t get into that here,” he told the hearing. Courant said it was time for the United States government to come clean with what its agencies have documented and learned through decades of extraterrestrial encounters. Airline pilots know what they have seen, he said and should be able to talk about it without fear of ridicule. NOTE: The above image is a rendering. On Thursday, February 19, 2015 I was driving from Kennewick, WA to Vancouver, WA on the Oregon Interstate 84 West that runs along the Columbia River. At 11:55 a.m., I was approximately 1/4 mile from the green Gilliam Co. road sign. The weather was clear with some sun and high white and dark rolling clouds. A train came up alongside of me on the raised tracks to the north of the Interstate. On the north side of the train track, setting lower, is the Columbia River bed and river. I looked over at the train as it passed me, wondering how fast it was traveling as I was driving approximately 68-69 m.p.h. I glanced back at the train to the left and caught something out of the corner of my eye to the right that made a downward fishhook motion from above the river water, as if it had descended and leveled. 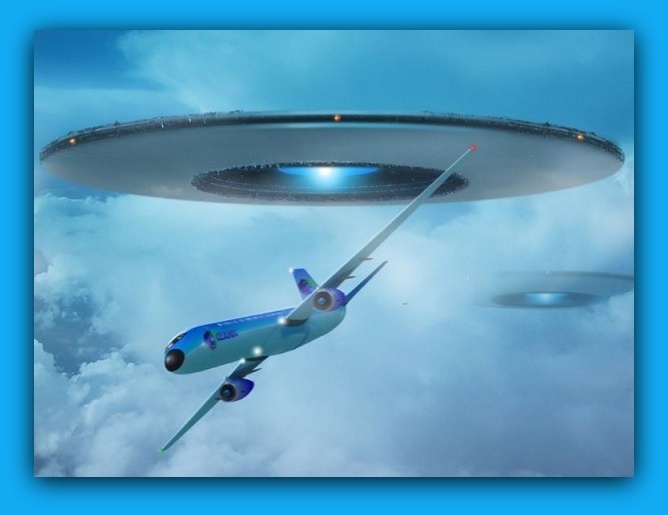 I looked directly out my passenger window and parallel with me was a small domed craft, what appeared to be hovering, but it also stayed parallel with me as I continued to drive. It was approximately 10-15 feet above the Columbia River water, well below the Interstate and train track. There were no boats in the water and this was an obvious aircraft with an obvious shape, above the water. I glanced back again at the last train car that was now ahead of me on the track and back to the craft for size comparison, and the craft appeared to be slightly larger than half a train car. The craft shape was slightly domed on top and was symmetrical. It appeared to be directly facing me as it stayed parallel with me. On the end of the dome, on the left and right, were small extensions that looked like downward wing tips. The underbelly was slightly domed, but not as much as the top part. In the center of the side wall facing me, was a smooth small protruding cone, or rounded tip of some kind, with a perfect black circle on the end. Above this cone, was a shape that resembled a bell dome, or what came to mind at the time was the shape of a WWII German soldier hard hat, with a slight curl on the end and small brim at the top. The center of the bell looked flat, which looked like a cockpit window of sorts, but there was no glass reflection or difference in color from the rest of the craft. The overall color was a dry flat blended, almost swirled, grayish green, very similar in color to that of the river, but the river was shiny and glossy, and this was an obvious; flat color, and again, obviously shaped and raised above the water. This entire event was only a matter of seconds, approximately 12, but felt slow motion at the same time as I couldn’t believe what I was seeing. The craft, while appearing to stay even with me while I continued to drive, and the train out of immediate view now, made a 1/4 slow even circular turn to the right and paused for a second. As it did this, I did not see the profile of the cone or brim that was on the front. It appeared a smooth, almost fluid, transition. There were no shapes or markings on this side, only the same grayish green color. The craft then very quickly made a 3/4 right turn, bringing it full circle, and it shot upward, heading northwest toward the Washington side of the Columbia River, in a steep, just slightly angled, climb, well above the mountain on the Washington side of the river. As it made its final turn before heading upward, I heard a loud brief swoosh sound. The craft appeared to turn black once it moved away from the water. In a matter of 2-3 seconds, it disappeared in to the white rolling clouds above. There were no visible lights on the craft, no jet trail, no heat or fume waves visible. Nothing. I drove to the next small town of Arlington, OR, and pulled in to their park. My heart was racing and I felt nauseous. I think I was in shock from what I had just seen. NOTE: The above image is a rendering. I was inside by bay window speaking. It was bright enough for us to notice appearing from nothingness. It was too bright to be a star and stationary canceling out a plane or satellite. Binoculars were grabbed immediately and I tried my best to take note, about ten minutes it began heading NW by W. It was clearly spherical, lights on the craft seemed attached to it on multiple layers or close enough distance. White lights were stationed on its horizon giving clear indication of its rotation. Multiple color lights were molding onto different areas spinning around the object and changing colors. It was stationary at first then began a straight path NW by W continuing the previous actions I described at a continuous altitude and speed until it was too far to keep track of. I ran inside and started this report before losing track of it. I was immediately curious until multiple dogs began to bark as well as my own and some were noticeably frightened or on an aggressive stance which made me turn cautious yet still inviting as I could possibly be. The object was heading NW by W at a constant speed and altitude until I ran inside to write a report after watching it for 40-45 minutes and lost track of it behind tree line. NOTE: The above image is a witness rendering. KENS NOTE: This area of South Jersey of covered with lakes both big and small. Our State Director George Filer has a house on the lake and one rose out of the water right in front of his home. George lives in Medford New Jersey. I feel these alien craft are hiding in the lakes and rivers in our state and probably throughout the world. Since these alien craft must be pressurized, then this would be perfect for hiding in water, just like a submarine would. Simple as that.